Though details have yet to arrive in full, it looks as if A$AP Ferg's upcoming Trap Lord mixtape will feature guest verses from spitters outside of the A$AP Mob, with the rapper recently confirming he's set up throwback appearances from rap vets from Onyx and Bone Thugs-N-Harmony. Ferg delivered the news while speaking with Philadelphia's Power 99 FM [via Hip Hop DX], though the Mob member didn't specify on which songs they'll appear. "You know what's crazy? I just got Bone Thugs on my mixtape and Onyx... Yeah, all that. All that. [Onyx's] Sticky Fingaz still talking about how he was about to hit somebody up in the tunnel. Throwback." Ferg went on to add that Rocky and "the whole A$AP Mob" naturally stop by on the set. Earlier this week, it was revealed that Ferg's "Work" single from the A$AP Mob's 2012 tape Lords Never Worry will also be getting a remix featuring new bars from A$AP Rocky and Trinidad James. Trap Lord is expected to drop this May during the U.S. Memorial Day long weekend. 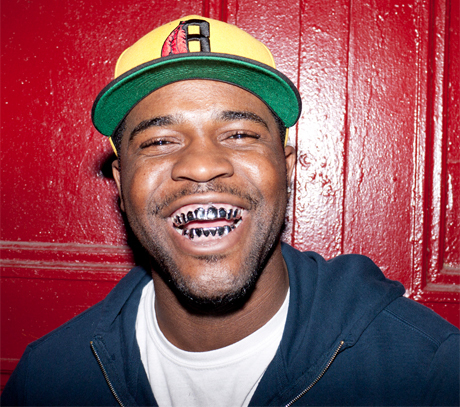 Ferg also has his upcoming Stay Trippy tour with Juicy J starting up in April, with a Vancouver stop booked June 1 at the Commodore Ballroom.